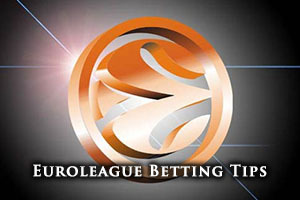 This is only the second ever meeting between these two teams but keen Euroleague betting fans will know that the previous meeting came earlier on in the Top 16. In Round 3, Laboral grabbed an 81-74 win against Nizhny. The Russian side comes into this game on a five game losing streak but the Spanish side have only won games on the road this season in the Euroleague. This means that both teams will be desperate to win, but there may not be a great deal of confidence on offer from either side. The home team has a 7-12 record so far in the Euroleague, which includes a 5-5 record in the regular season and a 2-7 record in the Top 16. Laboral come with a 9-10 record in the campaign so far, with the difference coming with more success in the Top 16. This is because Laboral also hold a 5-5 record in the regular season but they have a 4-5 record in the Top 16. With respect to average points scored, Laboral have an advantage of 80.9 to 78.6. Taylor Rochestie has been the main man for Nizhny to this point, offering up an average of 19.4 points per game this season, while also providing an average of 6.0 assists per game. It is fairly evident that if Rochestie plays well, the home team has a chance of success this one. Trey Thompkins has also been a major player for Nizhny this campaign, serving up an average of 8.3 rebounds per game. Davis Bertans has been crucial to the play of Laboral this campaign with the player having an average of 10.9 points per game. Colton Iverson has been a big player, offering up an average of 5.8 rebounds per game while Thomas Huertel has managed to provide an average of 6.7 assists per game so far in this campaign. Nizhny are in third place in their domestic league, behind CSKA and Khimky, with a 16-6 record. In their most recent domestic game on Sunday, they managed an away win against Astana, triumphing by a score of 72-79. Laboral are currently sitting all the way back in 8th place in the Spanish league with a 12-11 record. Their most recent domestic game was a home win against Andorra, winning by a score of 89-74. 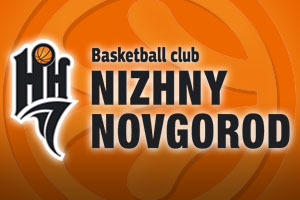 If you are looking to place a bet on this game, taking Nizhny with a handicap of -1.0, at odds of 1.90 should be a good bet. Anyone that is keen to add the Over/Under element to their bet should consider going OVER 165.5, at odds of 1.90. Both of these bets can be found with Bet365 and if you are looking to watch Nizhny Novgorod v Laboral Kutxa Vitoria live on Thursday the 12th of March, we can help. Bet Now!